Huizhou (simplified Chinese: 徽州话; traditional Chinese: 徽州話; pinyin: Huīzhōu-huà) or Hui (simplified Chinese: 徽语; traditional Chinese: 徽語; pinyin: Huī-yǔ), is a group of closely related varieties of Chinese spoken over a small area in and around the historical region of Huizhou (for which it is named), in about ten or so mountainous counties in southern Anhui, plus a few more in neighbouring Zhejiang and Jiangxi. Huizhou Chinese was originally classified as Lower Yangtze Mandarin but it is currently classified separately from it. 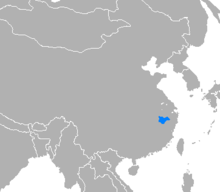 The Chinese Academy of Social Sciences supported the separation of Huizhou from Lower Yangtze Mandarin in 1987. Its classification is disputed, with some linguists such as Matisoff classifying it as Wu Chinese, others such as Bradley (2007) as Gan, and still others setting it apart as a primary branch of Chinese. In the Ming and Qing dynasties Jianghuai speakers moved into Hui dialect areas. Some works of literature produced in Yangzhou, such as Qingfengzha, a novel, contain Jianghuai Mandarin. People in Yangzhou identified by the dialect they speak, locals spoke the dialect, as opposed to sojourners, who spoke other varieties like Huizhou or Wu. This led to the formation of identity based on dialect. Large numbers of merchants from Huizhou lived in Yangzhou and effectively were responsible for keeping the town afloat. Merchants in the later imperial period also sponsored operas and performances in the Hui dialect. Huizhou varieties differ from village to village. People in different villages (even in one county and township) often cannot speak with one other. Many Hui dialects have diphthongs with a higher lengthened first part. 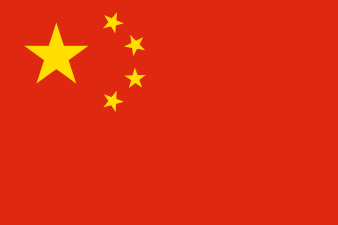 For example, 話 ("speech") is /uːɜ/ in Xiuning County (Standard Chinese /xuɑ/), 園 ("yard") is /yːɛ/ in Xiuning County (Standard Chinese /yɛn/); 結 ("knot") is /tɕiːaʔ/ in Yi County (Standard Chinese /tɕiɛ/), 約 ("agreement") is /iːuʔ/ in Yi County (Standard Chinese /yɛ/). A few areas take this to extremes. For example, Likou in Qimen County has /fũːmɛ̃/ for 飯 ("rice") (Standard Chinese /fan/), with the /m/ appearing directly as a result of the lengthened, nasalized /ũː/. Because nasal codas have mostly been lost, Hui reuses the 儿 /-n/ ending as a diminutive. For example, in the Tunxi dialect, 索 "rope" is appears as /soːn/ from /soʔ/ + /-n/. ↑ Hammarström, Harald; Forkel, Robert; Haspelmath, Martin; Bank, Sebastian, eds. (2016). "Huizhou Chinese". Glottolog 2.7. Jena: Max Planck Institute for the Science of Human History. ↑ Guo, Qitao (2005). Ritual Opera and Mercantile Lineage: The Confucian Transformation of Popular Culture in Late Imperial Huizhou. Stanford, Calif.: Stanford University Press. ISBN 0804750327. ↑ Yan, Margaret Mian (2006). Introduction to Chinese Dialectology. LINCOM Europa. pp. 222–223. ISBN 978-3-89586-629-6. ↑ Kurpaska, Maria (2010). Chinese Language(s): A Look Through the Prism of "The Great Dictionary of Modern Chinese Dialects". Walter de Gruyter. p. 69. ISBN 978-3-11-021914-2. ↑ 孟庆惠; 安徽省地方志编纂委员会. 安徽省志 方言志 - 第五篇 皖南徽语 (PDF). 方志出版社. p. 412.